It sounds like you’re doing all the right things, so I hope you realize that. Rejections are normal. Not everyone wants to buy the same car. Thanks for sharing with the IWSG. Yes 🙂 My feet are firmly planted. I know how tough this industry is, I think that’s why I sometimes question if I’m tough enough for it. Found your blog through the IWSG list. Thought I’d pop in and say hi! 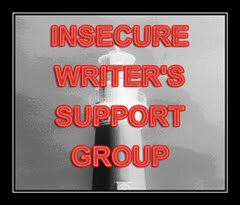 I’m new to the group (as of today) and have also resisted getting a blog for a long time so finding writers to follow is great. I resonate with a lot of your feelings here, and a noose is a particularly excellent way to put it. 20k views on your novel is pretty damn awesome though, so congrats! I’m new too, thought I would try and see if sharing with other authors would help. Thanks for saying hi. Glad to have found you through IWSG! Take baby steps and put things into perspective. That may help in not feel so overwhelmed! Good luck! No if I could take my own advice! Sharing with other authors really does help. I love your title by the way. Ir sounds like you have a lot going on and you are doing all the right things. I know that tired to the bone feeling and when it happens to me or sometimes even when I’m not tired from doing too much, but just lazy from doing too little, I get in a writing funk and can’t seem to finish what I’m working on. I have really bad ADHD so when I try and work on too many projects at once, my mind goes in all directions. I’m betting that the reason your horror stories are so awesome is because you just wrote them without worrying or caring. Often when I print out what I’ve written for revisions, I’ll stumble upon a chapter or a few scenes that I wrote and they are really good, more emotional and authentic than the others. I think back to writing them and they are the ones I thought would be the worst because I just wrote without trying too make it sound good or without concentrating on story structure etc. It’s when we write from our heart that our real and authentic voice shines. I’m so much better at pointing this out to others than following my own advice.